Services in the new Unit will begin in a phased way, initially with the Day Clinical Centre, Older People’s Assessment Unit and Clinical Decision Unit which have relocated from other parts of the building. Community Representatives from the Daisy Hill Pathfinder Group who have worked with the Trust to secure this £1million development said, “The opening of the Direct Assessment Unit is a major milestone for the Pathfinder Project and shows the significant progress we have made since starting this process two years ago. Welcoming the completion of the new Unit, Chief Executive of the Southern Trust Shane Devlin said, “With our continually growing population and increased demand for unscheduled care services, the Direct Assessment Unit is a welcome boost to help us make sure that more patients receive the right treatment at the right time. 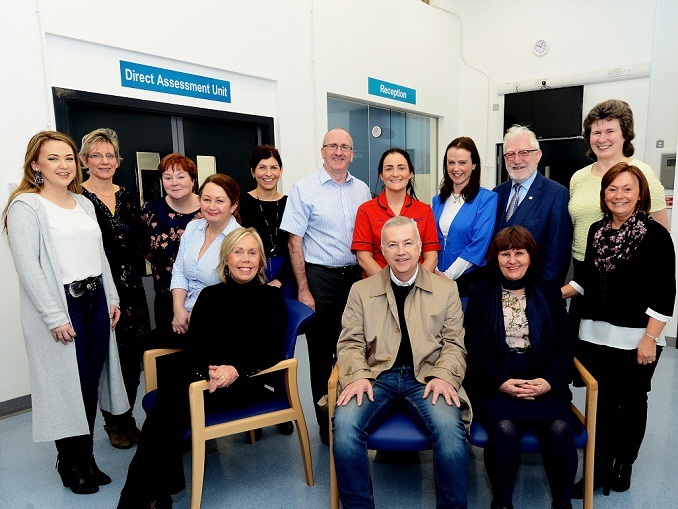 “Situated beside the Emergency Department and Diagnostics, the Direct Assessment Unit now offers a range of alternatives for those patients who may not actually need life-saving emergency care, but do require urgent investigation, observation or treatment. The General Outpatients Department has moved to Bernish House. A number of clinics continue from Phase 1 Outpatients in the main building. Patients should check their appointment letter for the location of their clinic before coming to the hospital.